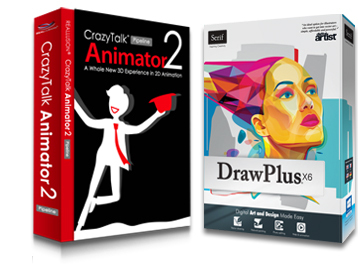 Personalize your creations with CrazyTalk Animator 2 and DrawPlus X6's professional draw and paint capabilities. DrawPlus X6, from Serif, is not only a fully-featured graphics tool, but it is also a proven content design pipeline for CrazyTalk Animator 2. 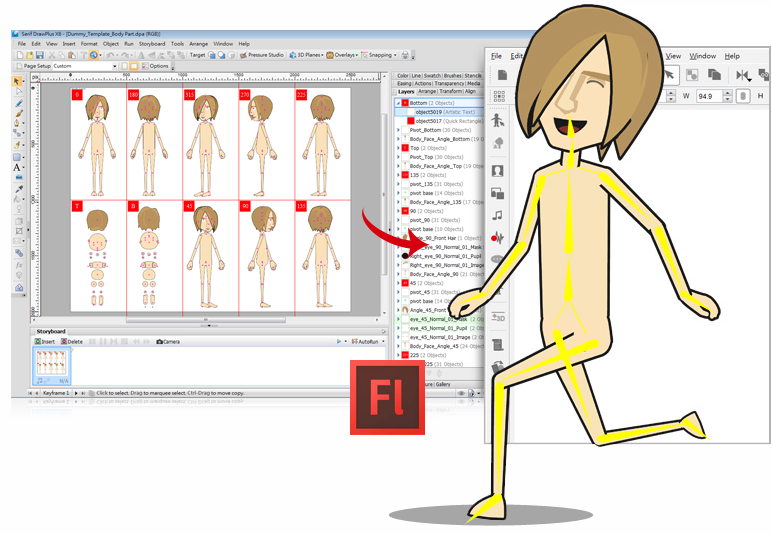 It brings data compatibility and ease-of-use to CrazyTalk Animator 2 designers as it saves time and effort on full-scale Adobe Flash, and Photoshop projects. With DrawPlus X6, now you can combine the power of image paint, vector draw and animated Flash content (SWF) in one complete toolbox. Brand New DrawPlus Features for CTA2 Designers! 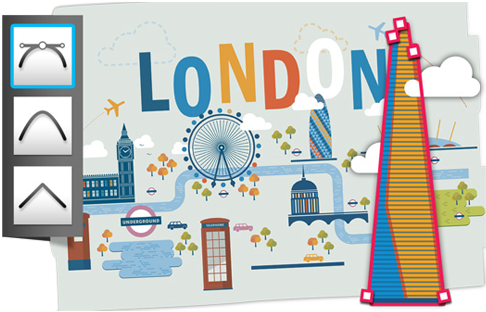 Simple vector drawing tools help you create custom lines, shapes and curves with advanced tools for targeted drawing, merging and blending. Create unlimited vector content to enrich your CrazyTalk Animator 2 library. Instantly draw common shapes and then change their colour, transparency, and edges; or morph any shapes to create amazing custom designs. Just choose any preset quick shapes which can be rotated or dragged around, and then quickly combine them together to create great looking designs. DrawPlus X6 includes a wide selection of watercolour, pastel, charcoal and other realistic-looking brushes.Â Sketch along a underlying image and give different stroke patterns. Also find support for graphics tablets with a built-in Pressure Studio for controlling brush stroke sensitivity, and make your digital art feel more realistic. 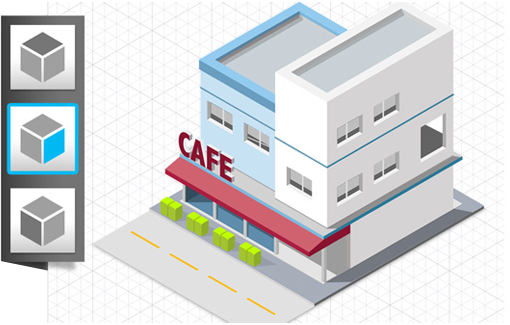 For better technical drawings, the connector tools and perspective planes give you the freedom you need to create flowcharts, scaled floor layouts and isometric drawings which are best for scene and prop creation. Build designs with layers that you can edit individually, apply non-destructible Graphic Styles that won't permanently change your original work, and use the special multi-level Solo Mode to isolate and work on specific elements of the same image. Quickly cut away image backgrounds to give subjects accuracy and focus. Or use parts of a photo as shape art for silhouettes, shadows and more. 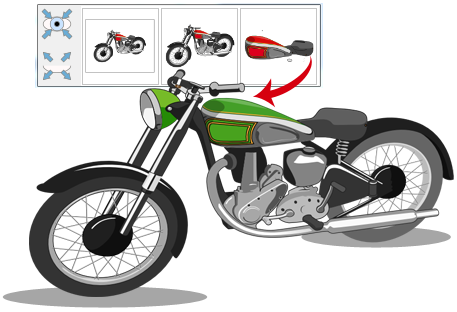 Turn sketches, logos, web graphics and photos into high quality vector artwork that you can easily recolor, tweak, silhouette and resize without losing quality. 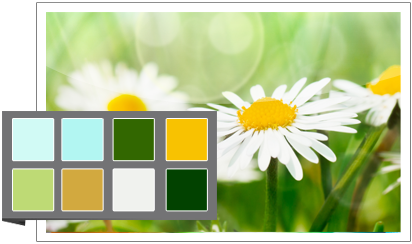 The new Palette Creator can automatically generate a palette of colors from an image to enhance any visual style. Use interactive animation features to showcase products and projects. The Stop-frame animation mode generates GIF animations that gives you total, frame-by-frame control. Key frame mode also generates standard Flash (SWF) outputs while automatically smoothing out motions for you. Title, move, transform, shape and colors can be changed easily. *Purchasers can also get 6 templates (.dpa) to quickly get familiar with DrawPlus X6. 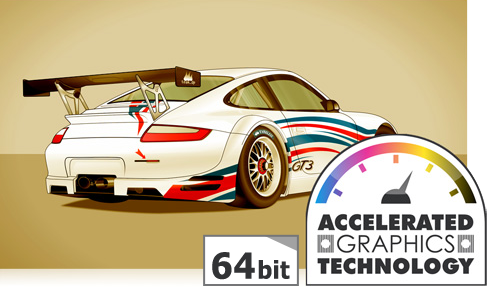 DrawPlus X6 now supports 64-bit Windows operating systems, allowing you to draw, trace, edit and share your designs faster than ever before. A brand new engine means no more waiting for the program to catch up, which is especially helpful when working on complex drawings and designs.